It was only a matter of time before Minecraft put out an official licensed something related to The Simpsons thanks to its new corporate overlords at Microsoft. What's genuinely surprising about the Simpsons "skin pack" announced today is just how...unsettling it looks. The Simpsons "content packs," which will cost $1.99, are coming out for the Xbox 360 and Xbox One versions of Minecraft in late February, according to an Xbox Wire post that begins with this promise: "Minecraft fans can soon bring the characters of Springfield to life in fully-textured, cubic glory." The irony of that statement, of course, is that it's about Minecraft—a video game that allows its legions of fans to build blocky versions of pretty much anything they want. 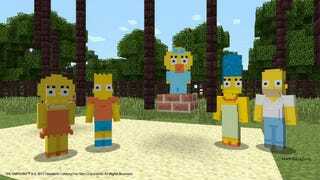 What's unsettling about the official Minecraft Simpsons is that they somehow look more...I dunno what to call it. Unsettling? Deformed? Just off, somehow? In comparison to others I've seen. 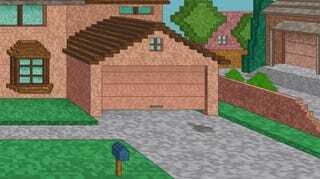 Granted, Xbox Wire didn't show the Simpsons in action. So here's hoping that all will be well for console gamers come February.